There are a lot of solutions out there for web filtering. Many of them are geared towards enterprise and when they realized there was a market in K-12 they opened up a new vertical with those enterprise filters. The problem is, those filters, typically blocked entire websites. It’s ok to decide that your administrative assistants don’t need to see anything on YouTube or even Wikipedia, but not students. Content filtering and CIPA compliance are challenging issues for any company but when you’re dealing with a filtering company designed for enterprise they don’t invest in the time or resources that best serve the educational community, they rather just throw a blanket switch on the net. Students today in flipped classrooms or blended learning environments may need to watch a Smithsonian web clip on a dinosaur, or a video of a space craft headed to the moon. At the same time we don’t want our kids searching youtube for Miley Cyrus twerking. With blanket filtering, those video resources for students are lost when YouTube is filtered out completely. The same thing goes for WikiPedia searches. Students may need to Wikipedia Ronald Reagan but they don’t need to be looking up Linda Lovelace. Securly provides cloud-based web filtering and analytics for K-12 schools. They filter any device, anywhere, and provide visibility into how those devices are being used by students in school and at home. Their cloud based solution carries over on devices meant for school and continues to make sure that kids are doing what they’re supposed to online, and not what they aren’t. Securly only works with K-12 schools so they have the knowledge and understanding of what students and teachers need as well as CIPA compliance. 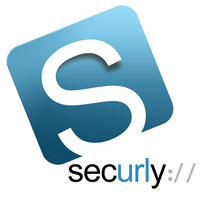 “Unlike many other web filters, Securly works only with K-12 schools. This means that we are well-positioned to meet education-specific needs and all of our new features and updates are relevant to schools. Although web filters are traditionally thought of as being relevant for IT admins, we also make our service accessible/beneficial to school administrators, teachers, and parents.” Awais Ahsan with Securly told us in an interview. They’re also the first content filtering provider to integrate with Google Apps for Education. And they differentiate themselves with their advanced reporting and analytics, which provide insight for IT admins, teachers, and parents into the ROI of a school’s technology spend. You can learn more about Securly here at securly.com and if you’re headed to ISTE this weekend in Atlanta you can check them out at booth 3263.